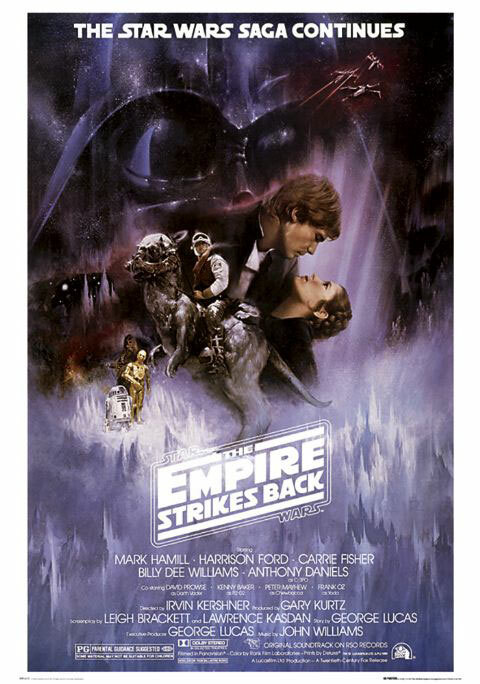 ...May 21st was the 30th anniversary of the release of THE EMPIRE STRIKES BACK. Do you remember how exciting it was to first see clips from the movie in the trailer? Seeing EMPIRE was one of my all-time favorite movie viewing experiences. ...Movie Viewing Girl pays tribute to Princess Leia. ...Here's a fun new promotional video of TOY STORY 3, which opens in four more weeks. 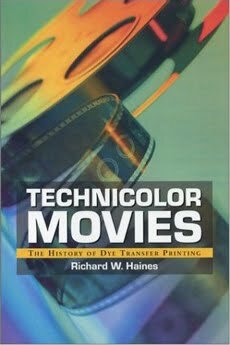 ...This weekend DVD Savant reviewed the book TECHNICOLOR MOVIES: THE HISTORY OF DYE TRANSFER PRINTING by Richard W. Haines, which was first published in 2003. ...Raquelle had an exciting experience when her posts on Robert Mitchum at Out of the Past attracted the attention of the Mitchum family. ...Also at Out of the Past, Raquelle provides a very informative review of the TCM app. I enjoy the app, but let's hope they add search functionality soon. ...It appears Kevin Costner joins the likes of Hedy Lamarr and Paul Winchell as an actor who is also an inventor. ...Season 4 of FRIDAY NIGHT LIGHTS comes to DVD on August 17th. ...I'm always happy to see praise for my favorite movie, SEVEN BRIDES FOR SEVEN BROTHERS (1954). ...2719 Hyperion gives a thumbs up to the brand-new Disney book WALT DISNEY IMAGINEERING: A BEHIND THE DREAMS LOOK AT MAKING MORE MAGIC REAL. I hope to order this in the next few days. 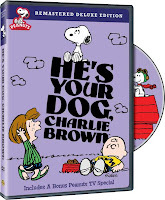 ...Barrie Maxwell reviews recent classic film DVD releases at The Digital Bits. He also likes the British TV series POLDARK. ...Reviews, reviews, and more reviews: I recently came across a February review of SUMMERTIME (1955) by Jenny the Nipper at Cinema OCD...Ted reviewed THE BIG HOUSE (1930) and RACHEL AND THE STRANGER (1948) at Just a Cineast...Classic Film Boy took a look at THE SMILING LIEUTENANT (1931) with Chevalier, Colbert, and Hopkins...Last summer Rupert reviewed last night's movie, THE GIRL FROM MISSOURI (1934). ...Remember when Drew Barrymore was a cute little girl in the E.T. era? Child of Television has a fun one-minute clip of Drew's long-ago appearance on THE TONIGHT SHOW with Johnny Carson. 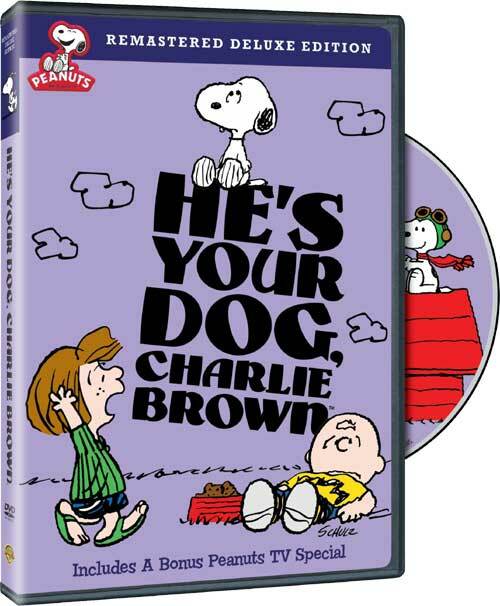 ...A remastered edition of HE'S YOUR DOG, CHARLIE BROWN comes to DVD September 7, 2010. Our family loves the Charlie Brown DVDs! ...Next Tuesday, May 25th, is the release date for RUSH LIMBAUGH: AN ARMY OF ONE by Zev Chafets. Limbaugh cooperated with the book. ...Speaking of politics, more scary stuff has been found hidden in the health care bill: the 1099 laws have been completely rewritten so that any business which buys $600 worth of goods (not just services) from another company will have to provide that company with a 1099 tax form. The ramifications are mind-boggling; for instance, I, as a self-employed businesswoman, will have to obtain Staples' taxpayer i.d. number and provide Staples with a 1099 because I buy over $600 worth of toner in a year. Here's more explanation from CNN Money. The costs of time and money will be devastating to a rocky economy, and it strikes me as more than a little creepy that the government wishes to track purchases at this detailed level. Let's hope this is repealed. It looks to me like these new 1099 laws do apply to services. Either way...what a nightmare!!!! I wasn't clear...I should have said "Not just services" and will clarify that. I get 1099s right now from my clients who pay me over $600 a year. That makes sense because it kind of takes the place of W2s so the IRS knows who to expect income taxes from. But expecting us to give major corporations 1099s when we buy goods is nuts! My business in incorporated, so I never get 1099s. This law will change that in a huge way. It even says the 1099s have to be distributed each time $600 is spent, not at the end of the year. That's asinine! Also, it seems like this will apply to individuals, not just businesses. If anybody buys a computer or $600 worth of stuff at a business/store, they'll have to give the business/store a 1099 showing the business/store got income from the individual. Totally insane!!! And 1099s, if I remember correctly, require the tax ID of the person/business issuing the 1099...that's a lot of giving out of social security numbers!